The teaching methodology at Chhatrapati Shivaji Maharaj Institute of Technology, incorporates various activities outside the classroom to instill professional and inter personal skills among students to face the competitive world, some of these activities include educational trips, industrial visits and N.S.S. The Institute library is well stacked and provides an excellent study base for the students and the teachers a like. The students have a free access to a wide variety of study materials. A well furnished seminar hall with the latest technical amenities is open to the students for making effective presentations. It is meant for organizing seminars thus aiding in presentations. The College has separate hostel facilities for boys & girls. The hostel rooms are comfortable, well lit, well ventilated and provide a congenial atmosphere to live and study. Industrial visits are an integral part of our curriculum. 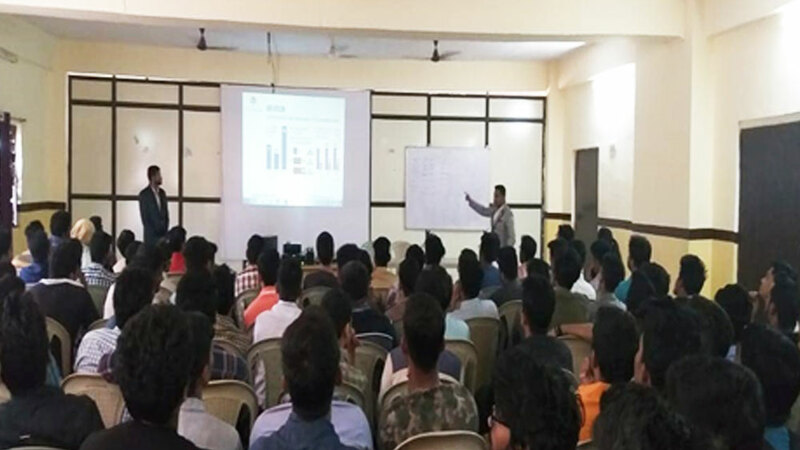 Direct exposure to the work place, shop floors and assembly lines along with interactive session with industry personnel helps clarify many concepts, issues and doubts of students from all streams. The age old cliché “All work and no play makes Jack a dull boy” still holds good. Along with a text curriculum it is commendable and has enough activities to keep the mind fresh and body fit for the next day. Keeping this in mind large swimming pool with automatic filtration plan is open to the students. The ride to the college is made easier by the college transport which is available to the students on payment basis.